Windows as a service and mobility of experience were the major keywords from the recent Windows 10 briefing. Most importantly, Windows 10 will be free Subscribe to Windows 10? Microsoft Evaluates Alternative Payment Models For Their Products Subscribe to Windows 10? Microsoft Evaluates Alternative Payment Models For Their Products In the summer, it was rumored that Windows 10 might be free. Recently, Microsoft's Kevin Turner made comments about monetising Windows differently and that services would be involved. Microsoft is changing its business model. Read More , if you uprade from Windows 7, 8.1, or Windows Phone 8.1 within one year of the final release. When you upgrade to Windows 10, you will have access to a continuous stream of innovation, including Cortana, universal apps, and a seamless experience between devices. And if you so desire, you can enjoy Windows 10 on novel devices, like the Surface Hub or the HoloLens. Microsoft is boldly stepping into the future with innovative software and hardware Stop Bashing Microsoft: 5 Ways In Which They're Awesome Stop Bashing Microsoft: 5 Ways In Which They're Awesome Microsoft doesn't always get fair treatment. When it comes down to it, they're a pretty awesome company. There's been enough Microsoft bashing, now it's time for some love. Read More . 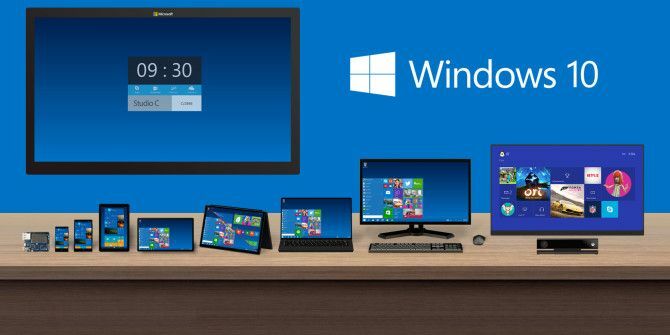 More specifically, Windows 10 will be free for current users of Windows 7, 8.1, Windows Phone 8.1, and most probably Windows RT, too. 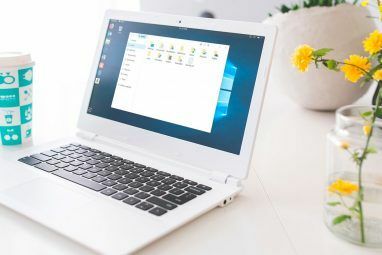 Myerson prefaced this announcement with stating how fragmented the current Windows landscape is and how Microsoft has put effort into upgrading as many people as possible to Windows 8.1 and Windows 7 SP1, as seamlessly as possible. According to Myerson, this was done to create a large up-to-date customer base for developers. Before Joe Belfiore presented new Windows 10 features on the desktop and phone, he stressed that these were early builds and glitches were to be expected. Fortunately, both the demonstrated apps and Windows 10 made a very smooth and stable appearance. He also pointed out that new features would appear in Windows 10 over the next three to five months. Microsoft’s personal digital assistant Cortana will finally appear on the desktop Discover Cortana On Windows 10 - Her Hiding Places Revealed! Discover Cortana On Windows 10 - Her Hiding Places Revealed! Cortana, Microsoft's voice controlled personal assistant, has been starting to show up on Windows 10. This article reveals her hiding places. It looks like she will come out to play very soon. Read More . She speaks 7 languages, can do impersonations, and is empowerd by the Bing engine to equip you with the collected knowlege of humanity. Belfiore demonstrated Cortana’s abilities Geek Humor Included! Meet Cortana, Windows Phone 8.1 Digital Assistant Geek Humor Included! Meet Cortana, Windows Phone 8.1 Digital Assistant Cortana is the best reason to upgrade your Windows Phone early. Microsoft's answer to Siri offers great features and will make you laugh. Read More with casual conversations, showing how she can help you get things done on the PC, including searching files across the computer and OneDrive. Not only can Cortana be instructed by voice, she also understands typing commands. As Cortana learns about you How Cortana Became The "Other Woman" In My Life How Cortana Became The "Other Woman" In My Life She appeared one day and changed my life. She knows exactly what I need and has a wicked sense of humour. It's little wonder that I've fallen for the charms of Cortana. Read More , information is stored in her notebook, which you can access and edit, just like on Windows Phone. Cortana will roll out over the coming months. The big deal about Windows 10 is that it will be a single operating system, across multiple device platforms. This adds some challenges, mainly how apps will transfer from one type of device to another. Microsoft’s solution is called universal apps. They are promising a wide range of apps that will create a pleasant experience on phones, small tablets, and PCs. 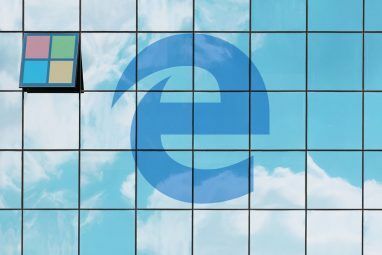 Project Spartan, a new Microsoft browser that will change how you interact with content on the web; expected within one to two months; no mention was made of Internet Explorer at all. To capture how Windows 10 will be used at work and at home, Microsoft used cinemagraphs. Windows 10 will support upcoming hardware, including the Microsoft Surface Hub, designed for more productive meetings and brainstormings, and the HoloLens Five Questions About Microsoft's "Project HoloLens" Five Questions About Microsoft's "Project HoloLens" Microsoft's new Augmented Reality headset is very exciting -- but can they solve the fundamental problems of AR? Read More , which will enable holographic experiences, similar to Google Glass. Expect to hear more about these devices as they are released. You can join the Windows Insider program to download, install, and test the Technical Preview 3 Easy Ways To Install Windows 10 Technical Preview 3 Easy Ways To Install Windows 10 Technical Preview You can try Windows 10 Technical Preview for free and help Microsoft polish its new flagship operating system. Before you install it, make sure you choose the best method for your needs. Read More right away. This will make you part of the 1.7 million insiders currently evaluating and shaping Windows 10 with their feedback Want New Windows Features? Share Your Ideas With Microsoft & Vote Want New Windows Features? Share Your Ideas With Microsoft & Vote Microsoft wants to know what you would like Windows to look like! Propose and review Windows features to shape the next version of Windows. Read More . The new preview build for the desktop will be released next week. The first preview build for phones and tablets will follow in early February. The final release of Windows 10 What's In Store For Windows 10 In 2015? What's In Store For Windows 10 In 2015? 2015 will be Microsoft's last chance to win businesses and consumers back. Here's what happened with Windows 10 in 2014 and the milestones you can look forward to in 2015. Read More is expected in late summer to early fall this year. While Continuum was only mentioned briefly, the entire briefing demonstrated how core this feature is to Windows 10. You can watch the webcast of the entire briefing and access further information online. What stood out most to you from the Windows 10 news briefing? Which apps and features are you most looking forward to using? Negative population growth Gates and Redmond HAVE. NO. SHAME. Win10 is copying iOS, plain and simple. Will Redmond EVER have original ideas or solutions? Not in our lifetimes! OK peoples, for those commenting incorrectly about it being free, read what is actually written. Let's re-iterate - IF, within *1 year* of Win10 being released, a non-business use owner of Win7/8/8.1 wants to update to Win10, then THAT is a free upgrade. Win10 is NOT (at this time anyway) a free OS to everyone such as new users, businesses using for profit, or 'expired' OS like WinXP nor Vista. MS reasoning is that hopefully 'everyone' will switch to Win10, then MS will be able to concentrate all resources on *1* OS/kernel/etc and keeping it functioning well, rather than also having to maintain Win7/8.1. This is the same reasoning behind not updating Win8 anymore and wanting to have every Win8 user move to Win8.1 for free (free update thru the store, etc). This eliminates multiple testing and patching of issues for multiple OS's and is certainly cheaper. It is also better/cheaper for developers - one OS to develop for. MS hopes that by offering a free update to Win10 for the first year, there will be motivational interest in getting all users on the same OS quickly. If MS offered it at anytime, then MS would still end up supporting Win7/8.1 for longer than they would prefer. Despite still significant numbers of WInXP and some Vista users, MS considers these expired and not supported, as they do with Win9.x and WIn2000 (and even Microsoft BOB lol). 2. The reason Win10 was not called version 9 was because there still exists too much outdated legacy code, both within M$ and and in other software, that looks for an internal version flag of 'v9.x' from the Windows 95//95SR2/98/98SE/98ME days - it was easier to just check for the '9' part rather than having to specify and update parameters following the 9. 3. I would like to see a link to an actual Microsoft statement, like on their website for instance, indicating in no uncertain terms, that Win10 IS NOT a subscription model - whether it is purchased or free updated to. Even in this comment blog, many have stated that Win10 is not supposed to be a subscription, and some have stated that Microsoft itself has stated that WIn10 is not a subscription, but I want to read it directly from Microsoft so we can link it/screenshot it/download the actual Microsoft statement and hold them to it. So, if anyone can comment/reply with such hard evidence, please do so. I don't know of an official statement that Windows 10 won't be subscription-based. I suspect that they will continue to create add-on software and services that are available via a subscription, just like they did with Office 365. I think Microsoft is seeing the writing on the walls. They need to give their OS away for free......to keep the status quo. I also think that is the same reason the skipped Windows 9 and went to 10. Apple has been making a steady stride into their market share. And for good reason, they make great products that people can use. Most older people who need to upgrade or are having problems with viruses, I tell them to purchase a MacBook. All of them were nervous a first, but they quickly learned....and all stated they will never go back to windows. Malware and viruses are a thing of the past for these people. The time machine is way to simple to ensure they are always up and going. The Windows OS is NOT Microsofts bread and butter app. Android has taken over the planet. Its on phones, tvs, desktop phones, in car computers, etc. These devices do not use office......so they need to make sure people get devices that are easy to operate and cost the same as an Android device.....to keep people in the Microsoft eco system. My biggest issue with what I've seen so far of Windows 10 (and 8 and 8.1 for that matter) is the interface being heavily touchscreen-driven. Touchscreen monitors, to add to an existing system, are still outrageously expensive, running 2-3 times the cost of a similarly-spec'd non-touchscreen model. Obviously with 8.1, the start menu is back and the Metro interface can be disabled, but MS has put a lot of the features of the OS into tiles, and things that are best used with a touchscreen. Without a touchscreen, the tile interface is like having MASSIVE icons on your desktop. Until touchscreen prices start falling, I'll stick with 7. I'm excited about the upgrade being free, though. Why not make a separate (from the scratch) Win10 installation? 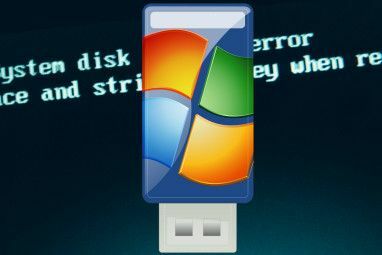 Download the preview - find an old USB drive with at least 4GB capacity, copy windows 10 installation files to it - change BIOS Setting to allow your computer to boot from removable devices, Restart... give the necessary responses and instructions required and you're done. Of course you will need to also install all your everyday applications, but you'll be on the dry side if anything goes wrong while in Beta. That's a sound strategy, aeneas! The only thing I would advise (especially if you like to keep back up discs or like to occasionally do clean installs) is o make an install disc of whatever Windows OS that you have now(before upgrading) (for the clean install). Then upgrade to Win 10 then make an install/upgrade disc for win 10. This will give you the ability to do a clean install with Windows 10. And if you have any suggestions regarding this, please hit reply as I would like to know also. Thanks! NOBODY dreams of having win(H)8's younger brother on all of their devices. Nobody. Sounds like SOMEbodies getting a tad frightened of open source. But, like many have said, it will probably be a subscription based, DLC model. I'd bet you against that. Possible that some advanced features will be subscription based, like Office 365, but the base OS, including the ability to run third party software will be free. Also, they will still sell licenses for people who don't upgrade from Windows 7, 8, or 8.1 within the first year. Moreover, businesses are excluded from the free upgrade. My mistake: Ubuntu 14.04 LTS, that is! I am using Windows 7 Home Premium SP1 and I trying out Ubuntu 14.01 LTS as an experiment. I am getting to like Linux as it is getting easier to use and you are not so required to be a geek to utilize it. My explorization has been due to the hassles involved starting with the transitition from XP to Win 7 while the Vista experience was in effect. Then came Win 8, then, Win 8.1 came out and, a jump to 10! Hah! What a ride! I am left to wonder how long after I may update to the new cutting edge 0S 10 that another inevitable replacement cutting edge OS may traditionaly and aggressively pop out of nowhere prompting yet another OS update? Windows 10 is supposed to be the final major version of Windows. From here on out, we'll see incremental and more frequent upgrades, similar to OS X. Updates are good, Larry, if they're improvements and not just "planned obsolescence" like the updated chrome on a new Cadillac. Ubuntu has 2 upgrades per year; if you just hit the "upgrade" button, you get a new version automatically and continue on with your life. It only takes a few minutes. The next year should see a lot of refinements in Linux. However, you can keep your 14.04 running for years if you like. You may also get curious about what the other 300 distros are like. Give them a spin sometime. I've been on Linux Mint (or some others) for a few years now and I'm sure not going back to Windows, not even if it's "free". What's really, really puzzling me, is why so many Linux users comment on Windows articles. I'm a dedicated Windows user and I don't feel compelled to comment on Linux or OS X articles. I'm also a past OS X user (hated it), but those articles or OSs don't bother me at all. Would you kindly help me understand? Thanks! Tina, Linux has no advertising except the enthusiasm of its users. There are so many people who don't know what an OS is, or don't know they have options, or are fearful of something different. They might see a costly, locked down Mac as their only option to Windows, or think it's too hard to change. The other thing is, there are probably a lot more Linux users than you think, especially among technically literate people (e.g., MUO readers). I would much rather pay good money for good software. I have been on OS X since Leopard, and it has been downhill ever since Apple made it free. The ONLY reason I stay with OS X is virtual total lack of malware. I still have a Win tablet and laptop, and run Win 8.1 and 10 virtually using Parallels. There are several things I need to do that can only be done on Windows. I've collected these following prices from Amazon as indicated "before sale prices" near to actual tags. I really can't believe this. Microsoft is offering it's major product free? Huh.. Why do they do this? Market pressure? Rival's upcoming products? So, I left that story behind months ago and then just switched. My mac "a real operating system" lets me to do a lot for my business and personal life. I use Windows because I want to do real work quickly. There a true stoory and a Windows troll response. And Apple do stuff for free? The whole focus of Apple is to drag more money out of customers. Microsoft don't have to do anything for free but this is a great way of establishing a large user base quickly. Ans it maybe the update version but it's better than a poke in the eye with a sharp stick. Who knows they might even link it to the COA. That is a joke. Microsoft saying Windows is free. Maybe for a limited amount of features or time, but free ? They still have problems fixing old Windows problems. This new version is still going to have problems. windows 10 will be free for windows 7, 8 and 8.1? Seems that microsft imitated apple, upgrated everyone's os for free, good job! Can't wait for this major change in the windows history! I'm in the preview program too, its kidda laggy but seems pretty epic, multiple desktops makes my problem with constant theme changes fixed, and the start menu is costumizable, i can resize it, or change it to windows 8 mode! Didn't they also say that future features/updates will come OTA instead of through special upgrades like 8.1? Yes, updating Windows is supposed to be much less convoluted than before and I think this is already the case. Upgrading to the latest build was a breeze. Best of all, I didn't notice Update Tuesday at all. Updates were installed in the background. Of course you can turn that off and stay in control of when updates happen. Is the system requirements exactly the same with Windows 8? I have been running the technical preview for several months now. Other than video card drivers, I haven't had any major problems. I agree with steveb, I don't want the OS (and the designers thereof) deciding what to save and what to delete. Glad to hear that can be turned off. Chances are slim that I will ever own a phone running Windows. It could happen, great specs, decent display size and reasonable cost, but I really like Android. That being said, syncing my music to the cloud is not appealing. I don't game, in the sense that the word is used now. I play Spider Solitaire, Freecell, Hearts, and Mines. I have not found a way to get those games for Windows 10. I have no desire to play against someone online, and don't really care about sharing my scores online. You should try a Lumia 930/1520 or even a 830/730 if you want to save cash. Windows phone is awesome, always fast and very stable and very secure while being considerably more open than ios( bit not as much as android, hence the security/stability). Also office comes foe free on windows phone and with windows 10 it will be pretty much full word/excel /powerpoint. Lumias also have the best cameras of any phones. You can restore classic Windows games in Windows 8 and it should work for Windows 10, too. "More specifically, Windows 10 will be free for current users of Windows 7, 8.1, Windows Phone 8.1, and most probably Windows RT, too." Typical disingenuous M$ double speak. Only Windows 10 UPGRADE will be free and only for a year. For someone who does not currently own a copy of any Windows, Win 10 will certainly not be free. They either have to pay for a previous version or pay for Win 10. Linux is the O/S that is truly free. You can download any of 700+ distros for free without ANY strings or conditions attached. Isn't that what I wrote? Free for current users of certain versions of Windows. How is that disingenuous? Unlike the Linux Foundation, Microsoft is a for profit company and that's perfectly fine. Of course people are free to choose Linux or buy a Windows license. "Isn’t that what I wrote?" "Windows 10: The Dream Of A Cross-Device Operating System Is Becoming Reality & It’s Free "
"Windows 10 Will Be Free"
The main title and one of the paragraph titles imply that Win 10 is completely free, with no conditions attached. Oh wow! yessssssss! amazing virtual world.......but wait!..wait!........that Hololens in big and bulky. Google Glass failed and one of the reasons was that the glass was not comfortable in its size...yup! You might say what I am asking is impossible......and I will say back to you " it might be improbable but not impossible" ...I borrowed this phrase from the Microsoft long hair dude who was introducing Win 10. Last time I checked, I saw Windows 8 running. But when I woke up the next day I heard there will be a release of Windows 10 soon. Oh I see, now I get it. I think I was dead for sometimes and finally I have been resurrected. So tell folks how was your experience with windows 9? Am one of those "few" people who finds Windows 8.1 to be good so just can't wait for an even better 10 to arrive! And free too? Great! I'm with you 100%, Deen. I needed to install a couple apps on 8.1 to give me the user environment I want but that was trivial and after that there was no looking back. The only thing that prevented me from upgrading older machines, including my workhorse, was cost and now that won't be a factor. For the first time in its history, Microsoft has excited me and in a major way. You can turn all of those features off. And I agree, the base OS should be stable and functional. Windows 10 appears to be that, too. I've been enjoying the Technical Preview since October and don't want to go back to 7 or 8.1.
free for a year or the life of your device. A big difference. please clear this up. I have heard this both ways. I purchased 8.1 to upgrade 2 computers to ssd drives and like having the original disks. I had planned on going to apple after these computers die due to not liking the direction microsoft is going(not that I love apple to death either). If I have to pay yearly for updates I will for sure not be staying. I was leaning that way in the first place and think that I am not alone. If you currently are running Windows 7 or 8 or 8.1 then you may opt to upgrade to Windows 10 for free. This upgrade is available for one year from the official release date of Windows 10. After that first year, if you wish to obtain Windows 10, you will most likely have to buy it just like you have had to buy every previous version of Windows. They are not implementing a subscription service. What L.Jones wrote and one addition: Windows 10 will remain free for the lifetime of the device on which you upgraded during that first year. If you get a new device without Windows 10 pre-installed, you'll probably have to purchase a license, but they said they haven't decided how this will work, yet. Maybe I am just not good at imagining... but what's the big deal about a "unified" OS across devices? Right now, I use Win 7 on my desktop and Android on my phone and tablet. I don't mind at all that I have essentially 3 different OS -- because I can access my files across all three. For example, I use Kingsoft Office across desktop and devices -- and everything is saved locally and synced to the cloud. Viewing photos or listening to music is not all that different either. In fact, I prefer using apps best suited to each device. As well, even under one OS -- the experience of using a file on a desktop versus devices will still be different, correct? Even in 2016 -- using Office on the desktop will still be very different from Office on a device, right? It's a big deal for many reasons. For one everything is perfectly synchronized across devices, files/settings/music/videos, etc even games will probably be sync in some cases. Also you can buy an app once and own it across all devices. Also having a common design on all devices goes a long way in making the experience smooth. They haven't decided on a pay model for after the first year, yet. They will most likely sell services, premium upgrades to the operating system, software subscription, that kind of stuff. I believe they clarified that it will not be a subscription, but that anyone who updates within a year is permanently upgraded. Does anyone know how they will provide for the Product Key? Will the current Product Key, in my case from Windows 7, be valid for the upgrade to Windows 10? I like the idea that Win 10 is free, I really do. But the simple fact that it's Microsoft makes me skeptical right off the bat. My first questions are "when am I forced to start paying? what am I giving up for this 'free' upgrade to Windows 10? Data privacy? Monetary? Both and more?